Here's my latest obsession: The Powers Girls. 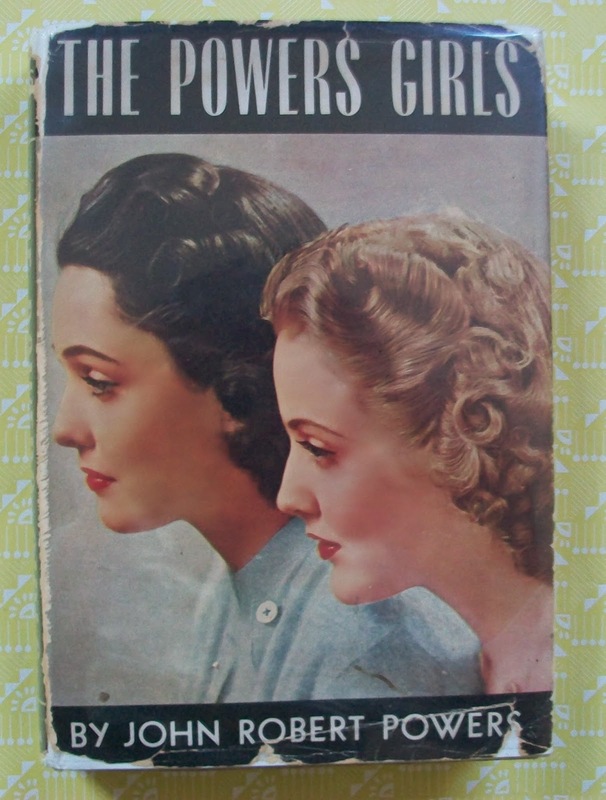 This book was written by John Robert Powers - believed to own and run the first modelling agency in the world - in 1941. Promising "The story of models and modeling and the natural steps by which attractive girls are created," this is partly a behind the scenes look at the Powers Agency, partly a beauty and grooming guide, and partly a huge plug for their newly launched modelling school (again a first). It was obviously successful - my edition tells me this title was reprinted seven times between September and November 1941! 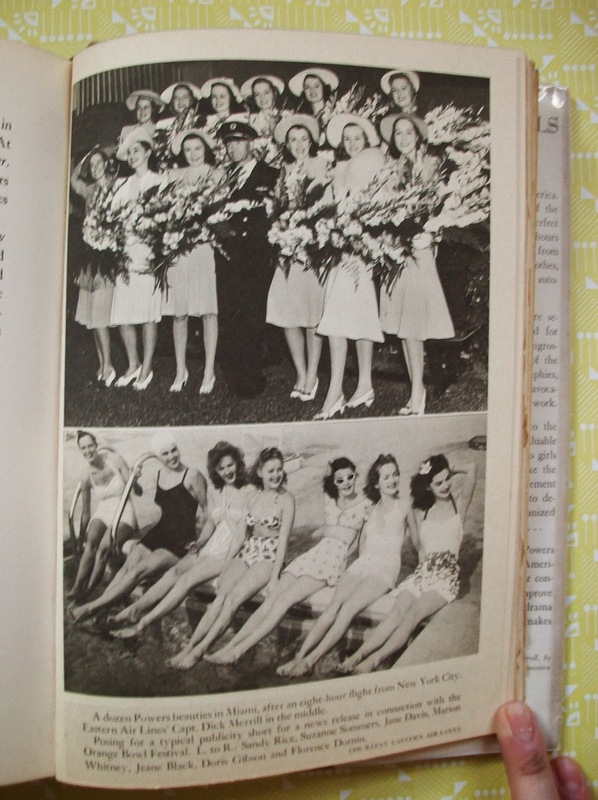 Some of the beautiful models who were The Powers Girls, including Sandy Rice, Suzanne Sommers, Jane Davis, Marion Whitney, Jeanne Black, Doris Gibson and Florence Dornin. At the time of publication, Powers claims to have 400 models on his books, covering almost every aspect of respectable modelling, from high fashion to commercial to illustration. What's the secret to his success? Well, Powers puts it down to his "development of 'The Natural Girl'", in contrast to the buxom Gibson Girl or the glamorous Ziegfeld Follies (in fact, lots of his models were also Ziegfeld Follies, but never mind). But, I guess, the agency became successful at a time when the Parisian fashion industry - and associated photography and modelling - was no longer operating. As American designers were creating new, more informal fashions, it makes sense that would be reflected in its editorial and models too. These gorgeous girls were subject to serious attention in their day including invites to the fashionable parties (Hostess "Elsa Maxwell remarked that she could give a party without debutantes but she always made sure of including at least 6 Powers girls," writes Powers) and fashionable clubs (although, "There is an legend around New York that you can tell when the clock strikes midnight because all the Powers girls leave the Stork Club."). 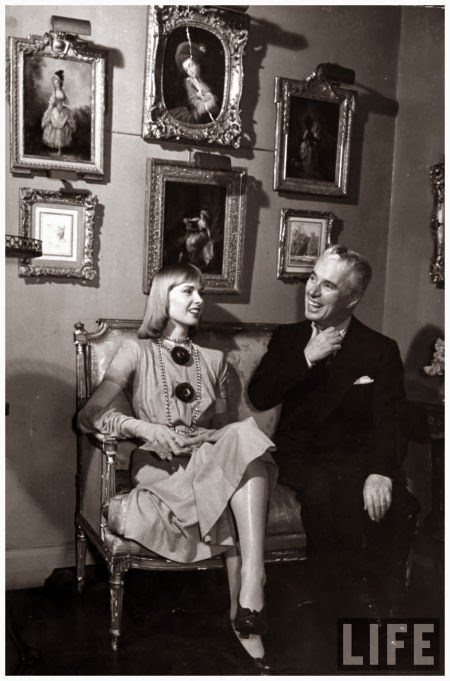 The above image is one from a feature in the 22 December 1940 edition of Life simply showing model Halldis Prince attending a New York party thrown by Conde Nast. 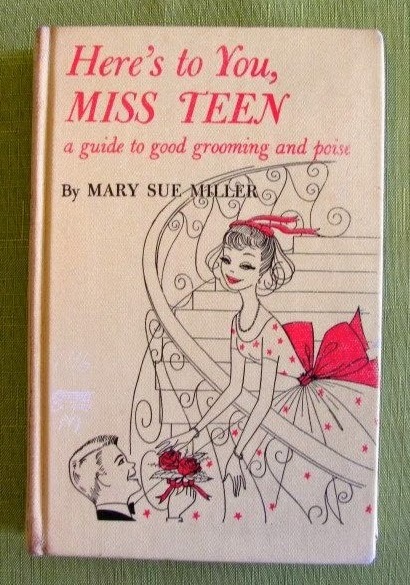 The models became considered experts in their own right, and wrote their own books on grooming and presentation - Mary Sue Miller authored one with John Robert Powers called Secrets of Charm, as well as the guide for teens shown above, while Anita Colby was also a former Powers Girl. Florence Pritchett and aspiring model, photographed for The Powers Girls. 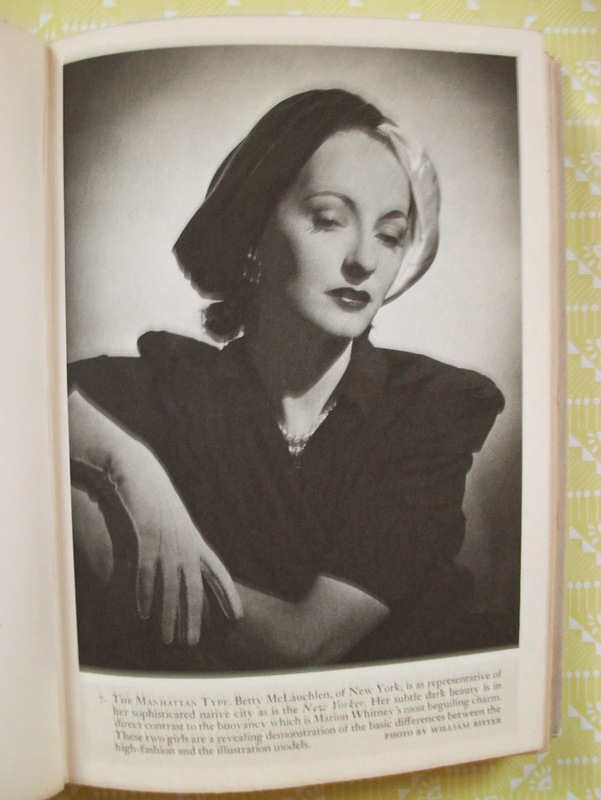 Florence Pritchett is shown in The Powers Girls as one of the advisors in the Powers modelling school - she also wrote her own book The Entertaining People, "A Guide for the Elegant Hostess", published after her death in 1966 and reproducing tips from her many social contacts, including Diana Vreeland, Duchess of Windsor, Cecil Beaton and Princess Irene Galitizine. She was also linked with JFK (you can see a picture of them together at The Stork Club - where else? - here). At the back of the book, Powers gives a list of his models. It's a fascinating list to trawl through and surprisingly unfamiliar. 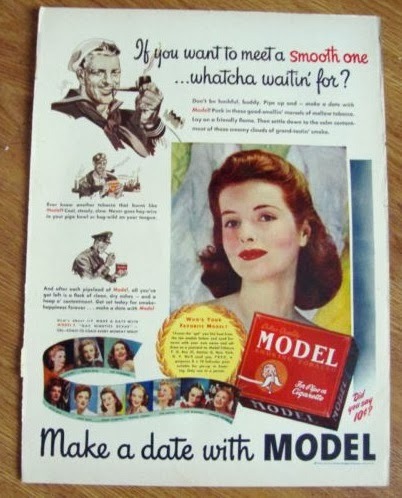 Many of the models are lost to obscurity or to marriage, or perhaps to both. There's a lot fewer familiar names on that list than if you started talking about, say, 1950s models, or at least they are unfamiliar to a British reader. Yet, in their day, these models were huge. 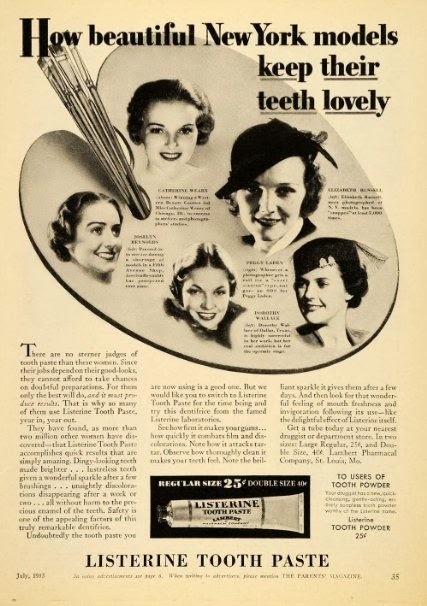 They were used to promote everything, and their names were also used in adverts as well as their faces. 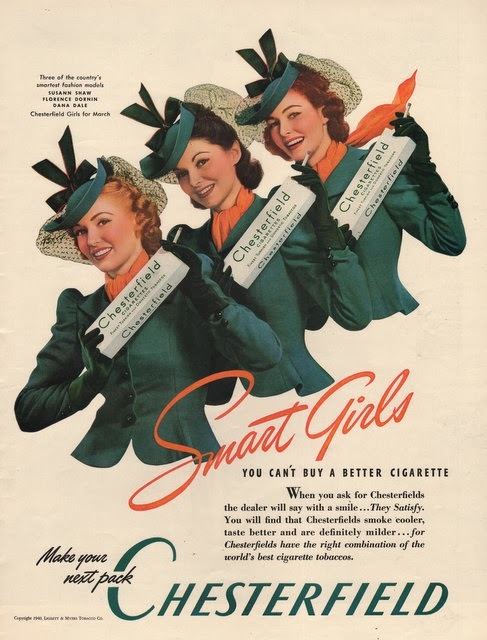 ... while "three of the country's smartest fashion models" including Powers Girl, Florence Dornin, along with Susann Shaw and Dana Dale, were listed as the Chesterfield girls for March 1940. 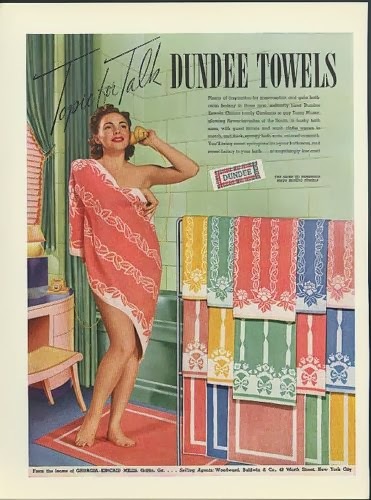 ... while Frances Donelon got Dundee Towels in 1940. 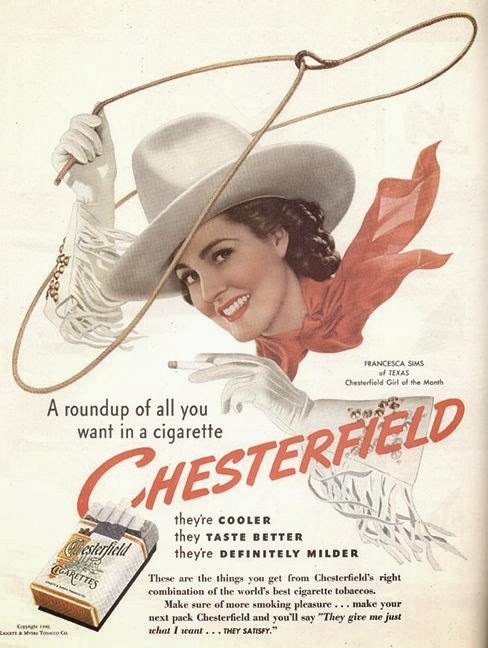 Start digging around some of the stories around Powers and there's some amazing tales, starting with the women plucked from the streets to become models or - as this article about Dottie Smallwood puts it - who have modelling 'thrust upon them". On the other hand, in the book, Powers claims to have interviewed over a million girls and women who were interested in modelling as a career. So what made a Powers Girl? As well as the essential stats - given here as 5'6" to 5'10" and size 12 or 14 - a successful model needs to have more. Powers writes, "It is not essential that a girl be beautiful in order to be a successful model, but she must be intelligent". The Powers Girls continually reinforces the intelligence and the charm, as well as the beauty of the models, and as qualities that should be emulated by "real" women. Betty McLauchlen, as pictured in The Powers Girls. Described as "The Manhattan type", she is described as being "as representative of her sophisticated native city as The New Yorker". Of course, charm could, to a degree, be taught in his modelling school while beauty, of course, couldn't be. 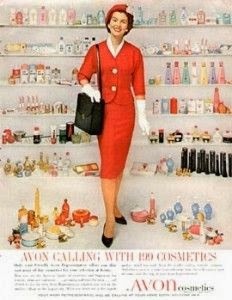 And, although women are encouraged to "use make-up sparingly", grooming is obviously considered paramount: "The Powers girls are said to spend more time and money on their clothes than any other group of girls in the world. The model may economize on her food but heaven help her if she attempts to economize on her hairdresser or her cosmetics." Perhaps this is the birth of that most troublesome of beauty aspirations - the natural look, which always appears to require 20 different kinds of make-up and takes hours to apply! Elizabeth 'Liz' Gibbons, as featured in The Powers Girls. She's described as being "The Urban Type." 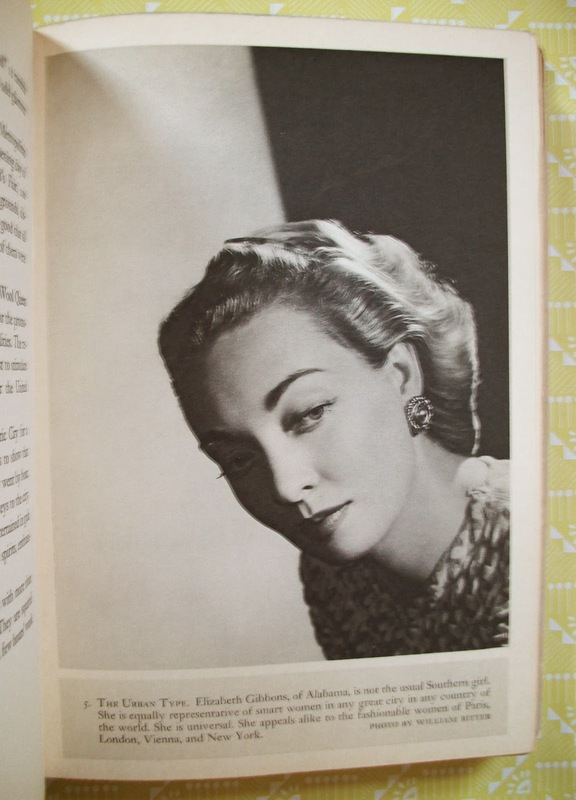 More on the Powers Girls to follow - I'll next be looking at the models such as Muriel Maxwell, Helen Bennett and Liz Gibbons who made the pages of Vogue and Harper's Bazaar. In the meantime, check out my Powers Girls pinterest board featuring some of the many images I found while researching this post. For now, I'll leave you with a typical bit of John Robert Power's wisdom. "It is excusable for a girl of 16 to be unattractive today, but it is not excusable for a woman of 40 … It is not the most beautiful woman in a room who is the most popular. It is the woman with the greatest degree of charm." Catherine was an artist and often her paintings were both quirky and amusing. My favorite showed a large wave with a white cloud covering the crest, and the end of a surf board sticking out of the cloud. The title was, "The Holy Spirit Hangs Ten." I also remember the unusual coffee table she had in her living room. The top was an ornate front door with a large oval glass window. The inside of the table was lit with concealed lighting and filled with sand which was decorated to look like the beach with pebbles, sea shells and (showing Catherine's signature quirky touch) a few glass eyes. Catherine passed away in 2002 and sadly I hadn't seen her since the late '70s. I was thinking about her today, so I decided to see what I could find about her online and came across your blog post. Thank you for adding a little bit more to what I know about a friend whom I remember very affectionately. Hi-I've been doing research on line and found your blog. My mom was a model in N.Y. in the 40's.She was stunning! It was not something that she was very open about. There were a few stories that she told. (modeling in a showroom for Lauren Bacall when she was shopping for her honeymoon).After she died (27 years ago) there were a lot of family members who told little anecdotes of all the things that she did modeling wise..one big story was that she modeled lingerie in an ad-and had a falling out with her parents over it. Anyway-long story short-in cleaning out the garage-I found one of her old scrap books..in it are a few society page articles-they mention The Powers girls...only they are ripped or torn off exactly in the part where the women were named. .So-in (I guess you could call it a quest) an attempt to find out who my mother was before marriage and kids...I'm trying to find who she might have modeled for....(sorry-long winded) Is there any place that you know of that has the powers girls names listed on line? Thanks for reading..
Hi Kathleen, what an amazing story! I'm sorry to hear you didn't get a chance to talk to your mother about it. As far as I'm aware the 1940s Powers archive no longer exists, which is a huge pity. 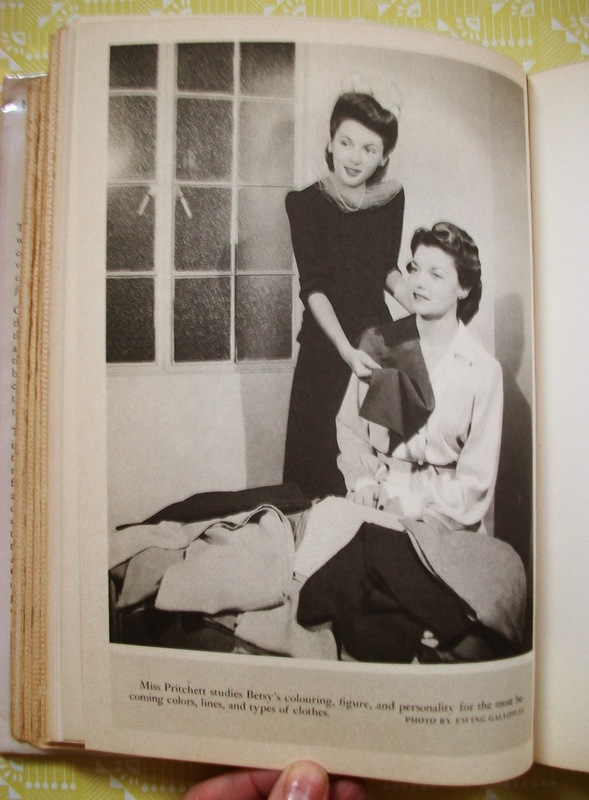 The book I own lists all the models working for the Powers agency - but was very early in the 1940s. It might be useful for working out the kind of places she could have worked for, if you haven't looked at a copy. Do you know what name your model worked under? Good luck - I'd love to know more if you manage to find it! Hi Francis-thanks for getting back to me! Yes, she would have been modeling in the early 40's...Her name was Anne Kelleher. I have found bits and pieces of articles-one of them actually gave me the "Powers" name..It was a piece on fashion show in N.Y. on 7-21 and 22 of I think 1942 at Remingtons store..one of the powers models mentioned was Emily Harrow..(last name could be slightly different-paper was torn..I also have tons of tickets to social events..including a radio show called "Blind date"(she was a participant) that was broadcast out of "The Stork Room"..I have so many pictures..As I said before-thanks for reading...I'm kind of on a quest to find all that I can..I appreciate being able to write it out..
Hi Kathleen, my apologies for the delay in getting back to you. I don't have my copy of the book to hand, but I will look your mother up next time I have access to it. How fascinating to be able to sample a taste of this social world she moved in! But I can appreciate what a hard thing it would be to research, especially if you have very little from her to go on. I posted a picture of her to the page...again-thanks for reading.. I've just looked at that picture - stunning! Please comment all you want, I love hearing more about this era and the women who worked in it. I was exploring an old home and found some Powers Model original "Symbol of charm" bedroom slippers! Perfect condition I can send you a photo! SO cool!!!!! Wow, they sound amazing - I'd love to see a photo, thanks. My grandmother was a powers girl in the early 1950's. Do you know of anywhere that I could get anymore info about that time period? I saw in an earlier comment that the 1940's archives don't exist anymore, but I didn't know if the same was true for the 1950's? I've been hunting for any pictures of her from that time to put together as part of a memory book. She's 82 now and I know that she looks back on that time in her life, although very short lived because she got married, with immense fondness. Any info that you may have would be greatly appreciated!! Thanks so much for getting in touch - how marvellous! So lovely to know your grandmother enjoyed her time as a Powers Girl. I'm afraid I don't know whether an archive of the Powers agency exists. In terms of other sources, you could try the other books by John Robert Powers, possibly http://www.abebooks.co.uk/servlet/SearchResults?an=%22john+robert+powers%22&bi=0&bx=off&ds=30&recentlyadded=all&sortby=17&sts=t? Other than that, I imagine it would probably be a job of looking through magazines from the period she was working. Good luck and let me know if you discover anything else.